The music can't find itself. Mr. Roberts recently spoke with the composer Philip Glass about writing his 12th symphony. Called “Lodger,” it’s an adaptation of David Bowie’s album of the same name. Here’s a mixtape from Lil Edit: It's called LP --> Cassette --> 11001011101. Would you like to download it? Bedouine, “Bedouine” (Space Bomb). In a year when breaking news alerts cut into otherwise uneventful days with disturbing frequency, comfort often felt in short supply. 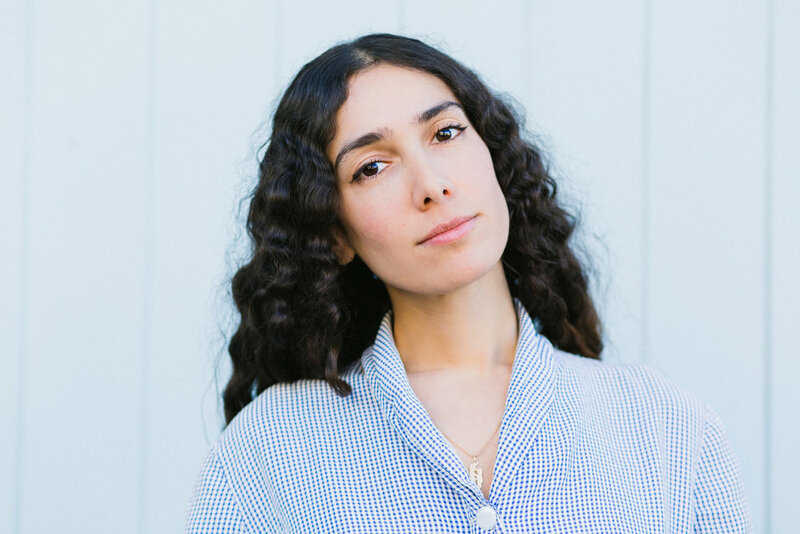 Within such drama, the Syrian-born, Los Angeles based musician known to her parents as Azniv Korkejian delivered warmth that recalled the pastoral sounds of Joni Mitchell, Vashti Bunyan and Nick Drake. Jaimie Branch, “Fly or Die” (International Anthem). Few records this year packed as much rhythmic punch as this Chicago trumpeter’s debut album. Featuring propellant percussion from Chad Taylor (Chicago Underground Duo, Fred Anderson Quartet), cello scraping and sawing from Tomeka Reid and others, “Fly or Die” most certainly flies, and ascends higher whenever Branch moves into a frantic solo. Jlin, “Black Origami” (Planet Mu). If the Gary, Indiana artist who records experimental beat music as Jlin were an architect, her chromatic structures would defy gravity, and jut out in jagged angles that cut through the skyline. Working in the Chicago post-house music subgenre known as juke music, the artist born Jerrilyn Patton makes wildly progressive sounds and rhythms across the album. Kendrick Lamar, “Damn.” (Top Dawg). As good as the billion words written about it this year, Lamar’s album not only delivered a brutally realistic document on the state of the city and country, but in the process he reinforced his claim as one of the most important voices speaking for Los Angeles. Aimee Mann, “Mental Illness” (Super Ego). Unless you’re Nick Drake or Nico, general malaise seldom makes for an engaging listen, but Mann, who is one of her generation’s finest songwriters, roams within these darkened corridors with expertly crafted, miraculously arranged vignettes on solitude and melancholy. John Maus, “Screen Memories” (Ribbon Music). The opening lyrics of iconoclastic synth-pop explorer Maus’s new album invoke some serious doom: “I see a combine coming,” he sings. “It’s gonna dust us all to nothing.” Is the paddling rotor a sign of the apocalypse? Of societal breakdown? Who knows, but across this curiously urgent record, menace seems to lurk. “The people are missing,” he sings elsewhere, and where they’ve gone is as mysterious as it is magnetic. On Fillmore, “Happiness of Living” (Northern Spy). Normally a duo featuring Glenn Kotche (Wilco) and Darin Gray (Tweedy, Dazzling Killmen), for this record they traveled to Brazil to team with kindred experimenters including Moreno Veloso (son of Caetano Veloso) and a percussion-heavy team called the +2 Collective. This is a strange record -- wonderfully so. Perfume Genius, “No Shape” (Matador). The artist born Mike Hadreas made a way, way better emo-goth-pop record than Lorde this year, but he’s got at least a decade on her so that makes sense. Across “No Shape,” Hadreas bellows and roars as if expelling memories and emotions that burn on their way out. As he does so, acoustic, electric and synthetic tones and rhythms build musical platforms both intricately designed and expertly engineered. Sleaford Mods, “English Tapas” (Rough Trade). Indignation was easy to find but hard to fully express in 2017, but no record save maybe Protomartyr’s “Relatives in Desent” said it better than this rant-and-rhythm record from Nottingham, England. Across 12 tracks, lead barker Jason Williamson, who has a murderous stare and onstage presence, poured forth dense rhymes about working class outrage, societal suffocation and our media-saturated reality. Sonny Curtis wrote "I Fought the Law" and "Love is All Around." Mr. Roberts spoke with him about the latter as he remembered the late Mary Tyler Moore. Mr. roberts wrote a long feature on the Village Studios in west los angeles. Jeff Greenberg owns the Village Recorder in West Los Angeles. It's a great place. READ MR. ROBERTS' EXCLUSIVE INTERVIEW WITH cHRISTINE MCVIE AND LINDSEY BUCKINGHAM RE: THEIR FORTHCOMING "BUCKINGHAM/MCVIE" PROJECT. Christine McVie and Lindsey Buckingham have announced a collaborative album tentatively called "Buckingham McVie." Mr. Roberts interviewed the two, and broke the news of the collaboration. We conserve music through exploration, reclamation, research and publication. Some of the Earth's greatest music is threatened by over-production, unfiltered consumption and reckless listening. Randall Roberts Industries aims to not only protect these sounds, but to celebrate them, worship the creative spirit that generated them and place them on the highest, most bejeweled pedastal. RRI's aim is to support its founder's livelihood as professional writer. That founder is best known for his work in Southern California for the Los Angeles Times and LA Weekly. This site offers and overview of the many ways that Randall Roberts Industries has become a leader in the field.